We will begin posting more pictures from the past due to interest from our followers! Here's today's #throwbackthursday post. 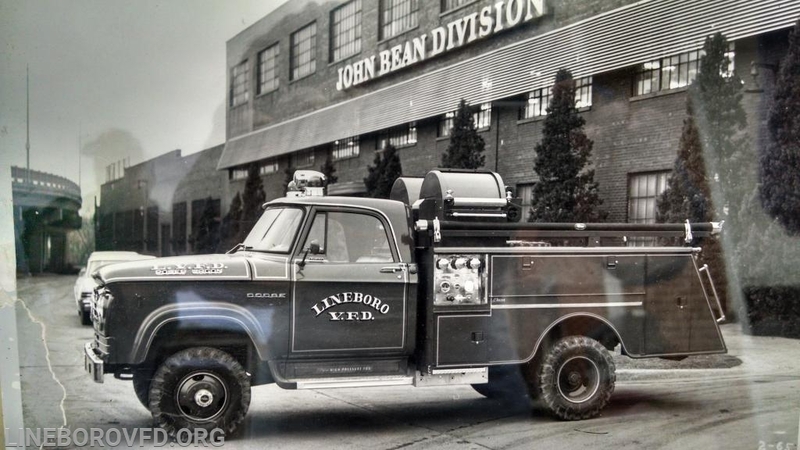 Presenting LVFD's retired 1965 Dodge Power Wagon built by John Bean. Produced with a 318 CI motor and 4 speed transmission. It features a 60 gallon per minute high pressure pump and a tank water capacity of 250 gallons. It was designated as Brush 75. The apparatus was retired by the department in approximately 2010. It is privately owned by an active member. Throughout years of wear and tear, it was refurbished. 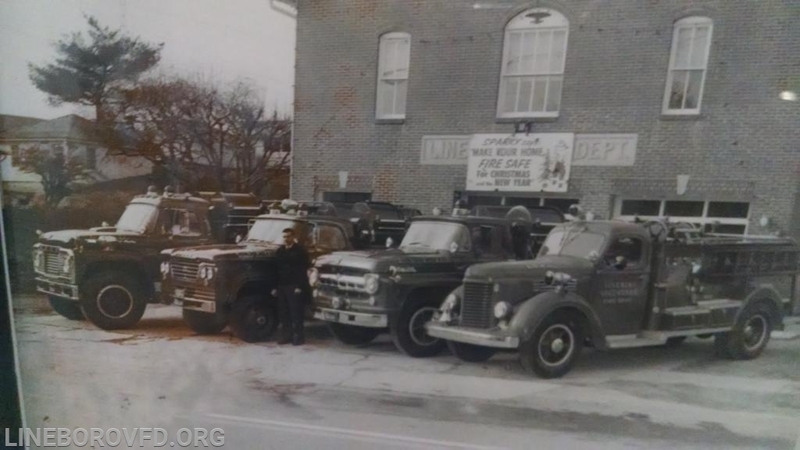 The LVFD old brush unit still makes appearances for various events. New Brush 75 at the factory located in Lansing, Michigan circa 1965. 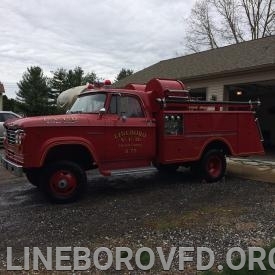 Brush 75 lined up with additional LVFD apparatus on the front apron of the station. 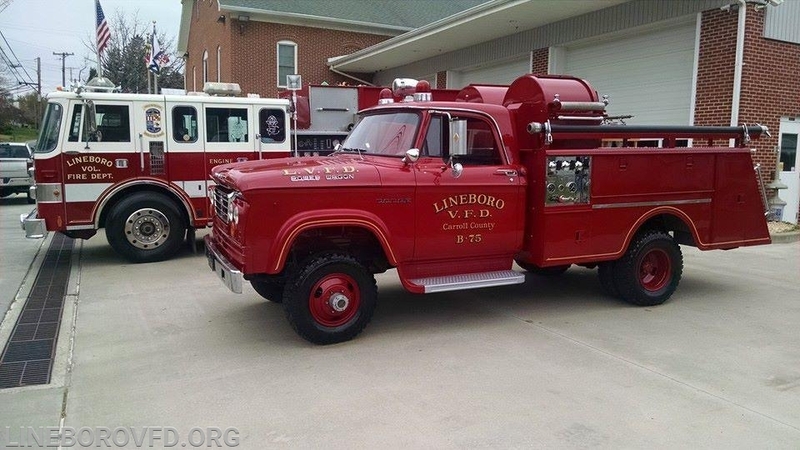 Brush 75 during retirement, attending Lineboro Volunteer Fire Department's 100th anniversary in 2015. 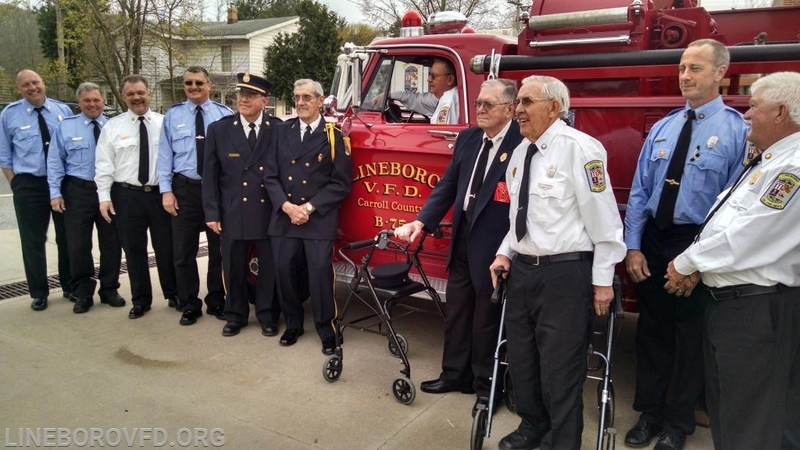 Members, active and retired posing for pictures with Brush 75 during Lineboro Volunteer Fire Department's 100th year anniversary in 2015.